My Art Finally Came Home! Waaayyy back in March I submitted my very first art piece to Somerset Studio Magazine. I didn't hear anything for a long time and thought my piece was lost forever! Well, a few days ago it found its way home with a notice that it's going to be published in the Somerset Gallery Winter 08 edition coming out Dec. 1, 2007! I was so excited! Here is the piece. And altered altoid tin. 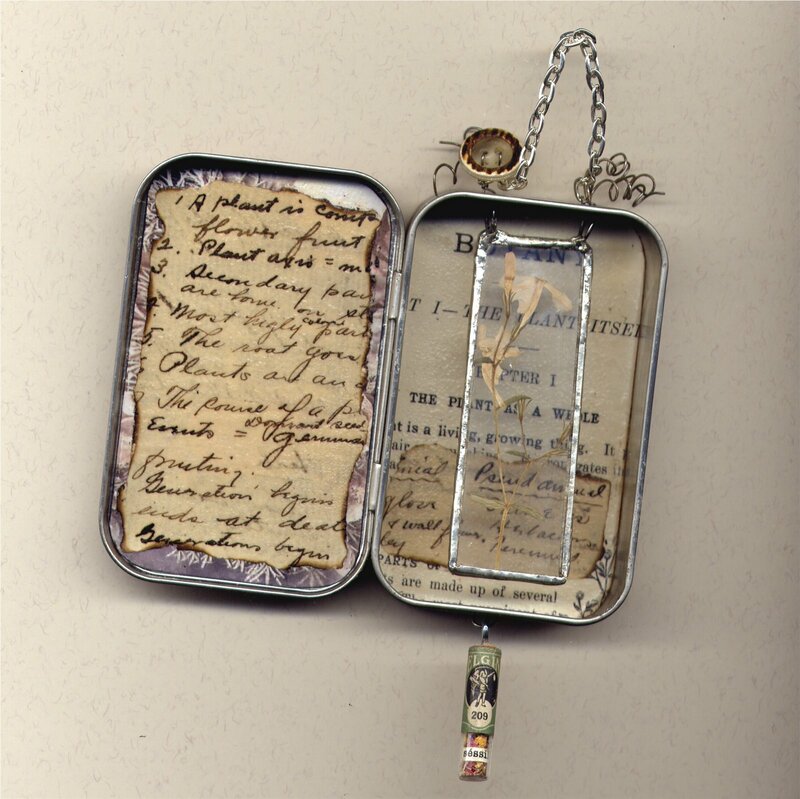 Inside is a soldered microscope slide with a pressed flower. 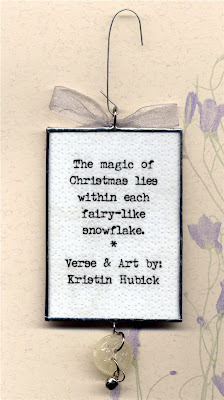 The pretty text is from a vintage, 1909 Botany book. It's on page 173 from what I hear. 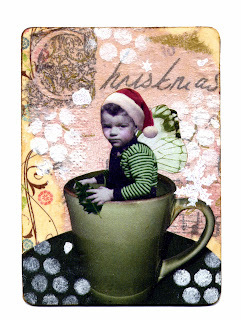 Tomorrow, our Indiana Altered Art Group is having a little holiday party with an ATC swap, art supply swap, and pitch-in. So tonight rather than making art I made these :). More Amazing Design Team Art! 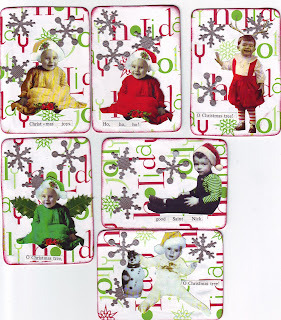 Check out the ABSOLUTELY ADORABLE ATC's from Design Team member Bianca Mandity! 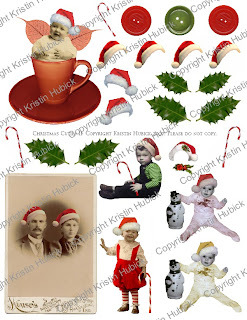 You can find the Christmas collage sheets in my store! I hope everyone had a GREAT Thanksgiving! 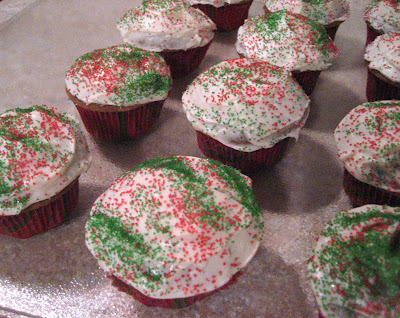 Next Saturday I have a holiday ATC swap party to attend, so I thought I would make and decorate some Christmas cookies (ATCs!). There you have it! They look almost good enough to eat, but please don't :). Even MORE Design Team Art! 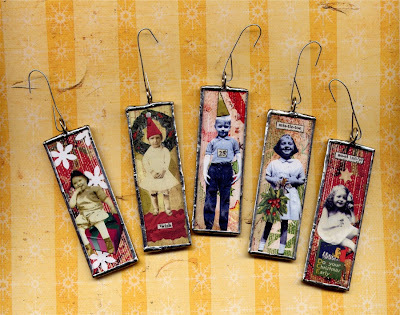 Check out these AMAZING pieces made by the lovely and talented Heather Robinson using my Christmas Collage Sheets! Aren't they all WONDERFUL!!! 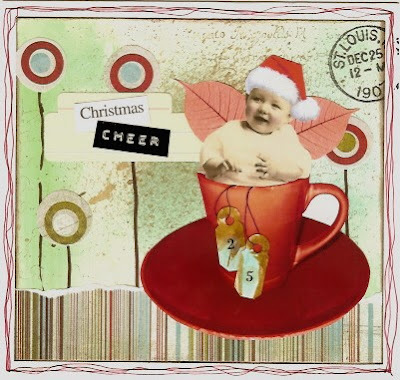 More awesome art by Audrey Hernandez using the Christmas Collage Sheets! She also made this awesome card using an image from one of my Halloween Collage Sheets - so clever! 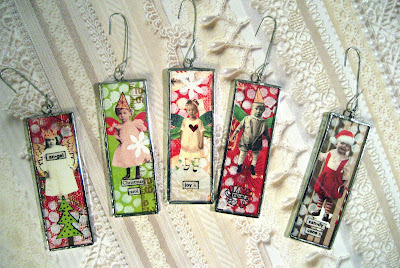 Check out these FABULOUS tags made by Design Team Member Bianca Mandity using my new Christmas collage sheets. I love these tags!!!!!!!! Be sure to check out Bianca's work! You won't be sorry! 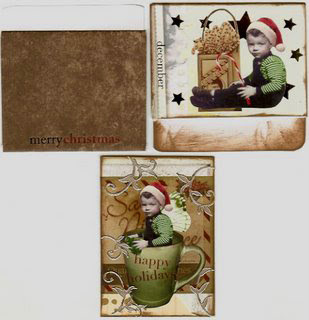 Check out the sample design team member Audrey Hernandez made using my Christmas collage sheets! 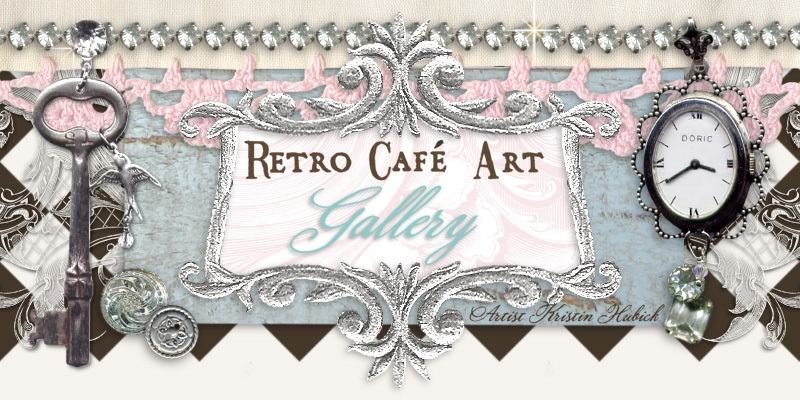 Be sure to check out Audrey's work - it is most amazing! Go now! Okay, so I know many of us get funny looks when we try to explain "what we do" as far as altered art goes. But this weekend I was truly challenged! My Master's course this weekend was "Small Business Development" so of course I focused on my art business and the future plans with the new website etc. etc..... 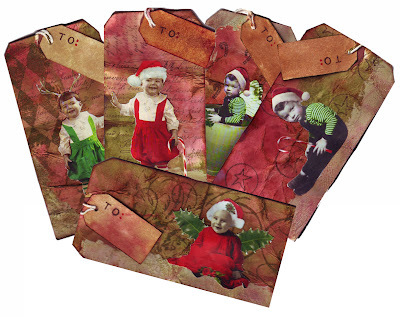 Try explaining "altered art", "collage sheets" etc. to 5 occupational therapists and see what happens! lol! Everyone else had businesses focused around occupational therapy and client care, but not me! Oh my, did I get some strange looks! But I must say, I think I had the most fun :). Sometimes I think we live in such a small bubble in this little art world. My class didn't even know what a blog was!!!!! I made this soldered glass ornament for Ebay today. It's 2.5" x 3.5"..... 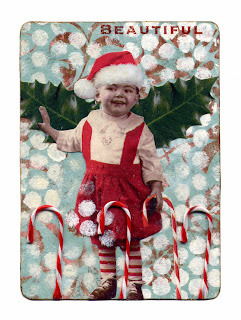 The same size as an ATC/ACEO. You can find it along with more pictures HERE! And here are the ones from last year... I think my soldering has improved a bit! Sorry I've not been around much! I had 8 hours of school for the past three days, my "power weekend" for my master's classes. Now I just have one more class to go and I'm FINISHED!!!! Yay! As a treat, after my class was out today I went to a cool antique store downtown. 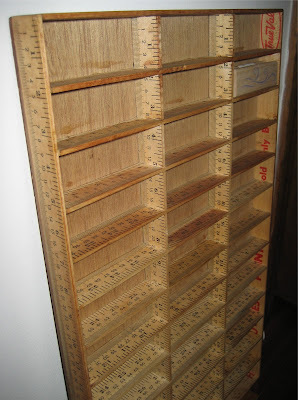 I scored this AWESOME shadow box for only 16.00... it's made entirely out of yard sticks and it is the PERFECT size to hold stamps! I've never seen anything like it before have you? Awesome! 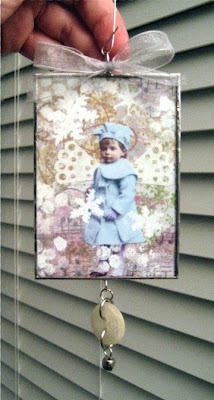 I just made these two ATCs/ACEOs last night using my new Christmas fairy collage sheets. 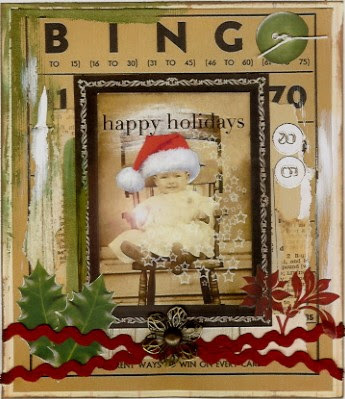 You can find the two ATCs and the collage sheets HERE ON EBAY. 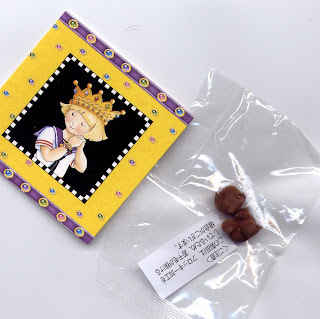 Thanks!!!!! Thank you so much to Chel, Queen of ZNE for sending me this sweet RAK! It's a little squirrel with a sweet card! As some of you may know, I once did several squirrel ATCs! Thanks again Chel!!!!!!!! 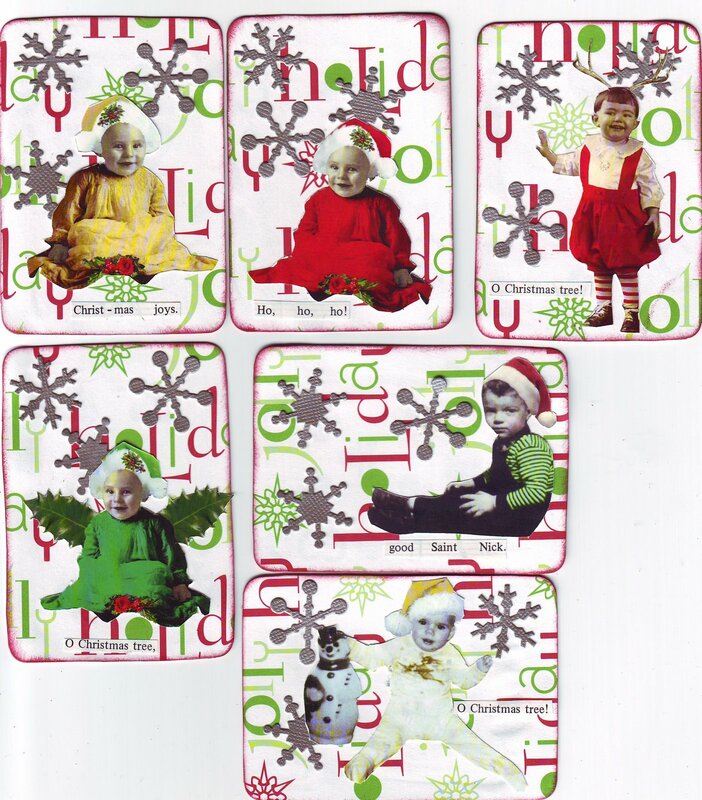 NEW Christmas Fairy Collage Sheets!!!! 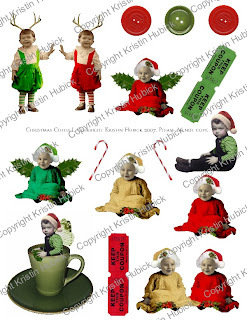 Some NEW Christmas Collage Sheets are HERE on EBay I hope you like them!